Speaking of that, skimping on nailing the siding down often enough will cause it to sag in the summer heat. It’s not rocket science, but a fly-by-night contractor who cuts corners can really make a mess you won’t even notice until months later. 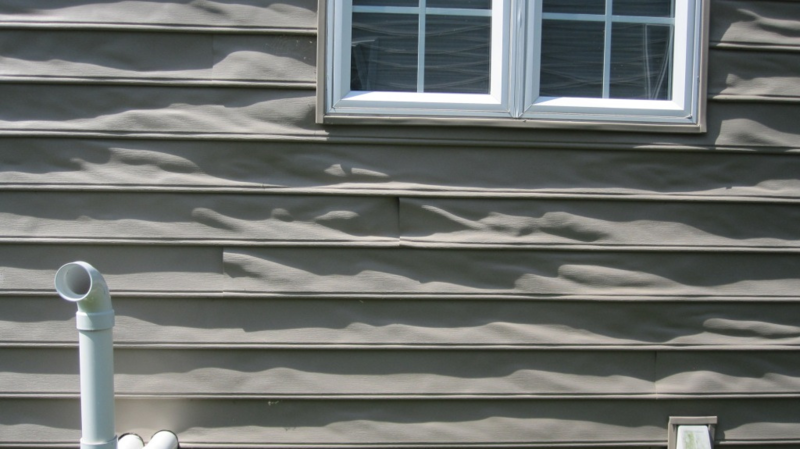 Depending on the size of the siding used and how it’s installed, you can end up with a lot of awkwardly looking visible seams. If those create a vertical pattern, its functionality won’t suffer, but your curb appeal definitely will. Using longer siding pieces is a good idea in trying to prevent this as well. Saving money on flashing is equivalent to flushing money down the drain: You need metal flashing to divert water around roof edges, windows, doors, etc. to prevent water damage, which, as you probably guessed, is very expensive to remedy. Even for homeowners who are pretty handy with home repairs and renovations, installing siding can be a daunting task—because of the room for errors that can get very expensive to fix. If you need help with your siding installation, keep in mind that Ridge Top Exteriors doesn’t just sell a wide array of siding in many styles and colors, but we also have a great reputation and homeowner reviews for expert installation. We do it right the first time, so Call us for a FREE no obligation estimate; we’d be honored to earn your business!